post-title A place for a party: Kennedy’s Station. 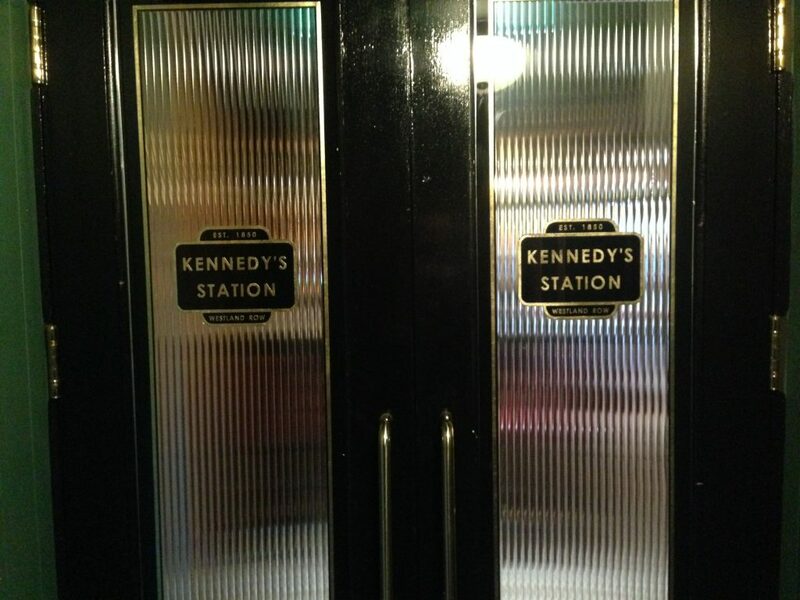 A place for a party: Kennedy’s Station. Home / 2017 / A place for a party: Kennedy’s Station. 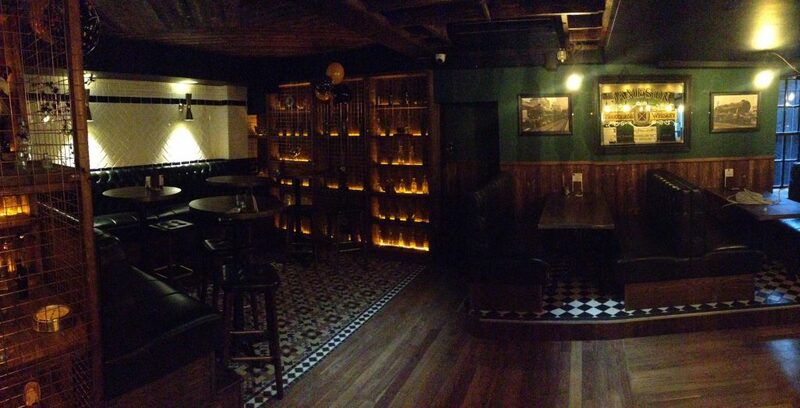 Late last year downstairs in Kennedy’s on Westland Row went under a bit of a renovation. 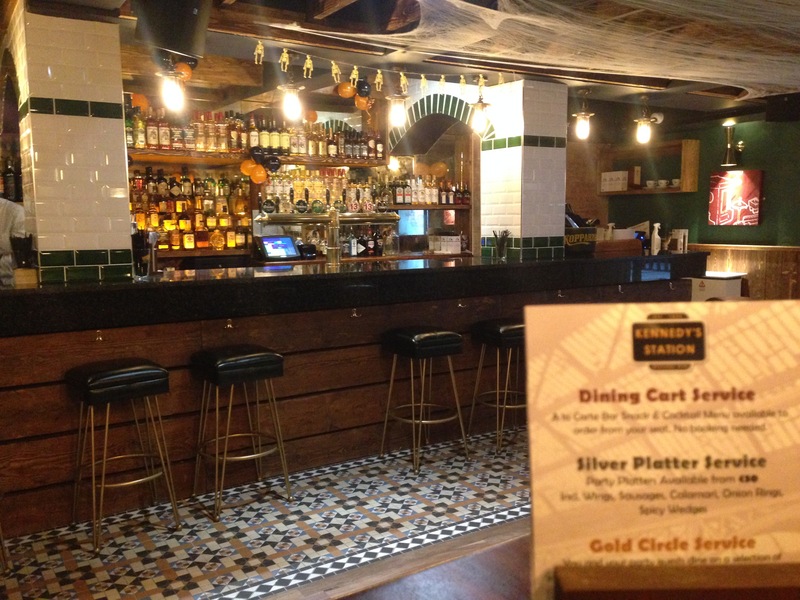 It’s under new management these days and the historic pub has been going back to it’s roots. The new underground area is called ‘Kennedy’s Station’, and captures a bit of the old history of the area (especially the old Westland Row station), while showcasing a new, more modern look. 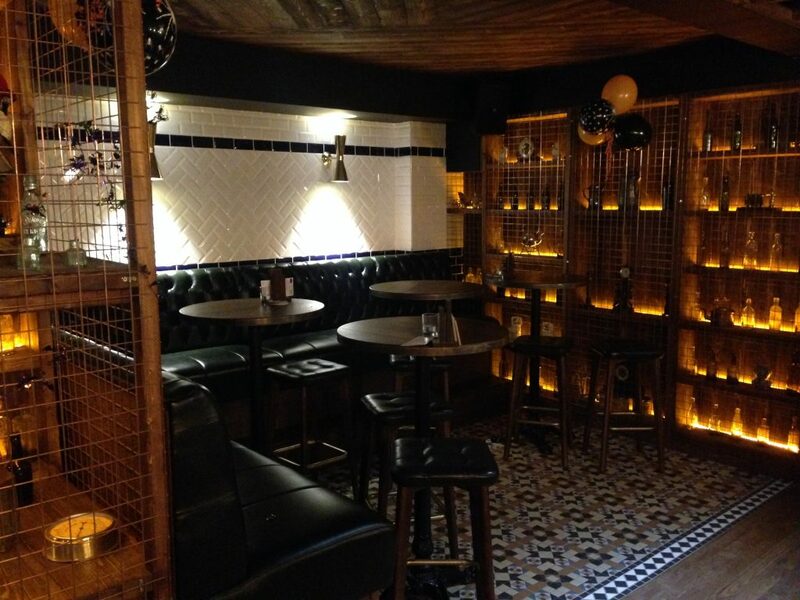 The downstairs area is open Thursday to Saturday in the evenings for some dining, cocktails, and craft beers. To the right of this photo there’s a small outdoor smoking area as well, so there’s no need to stand on Westland Row anymore. 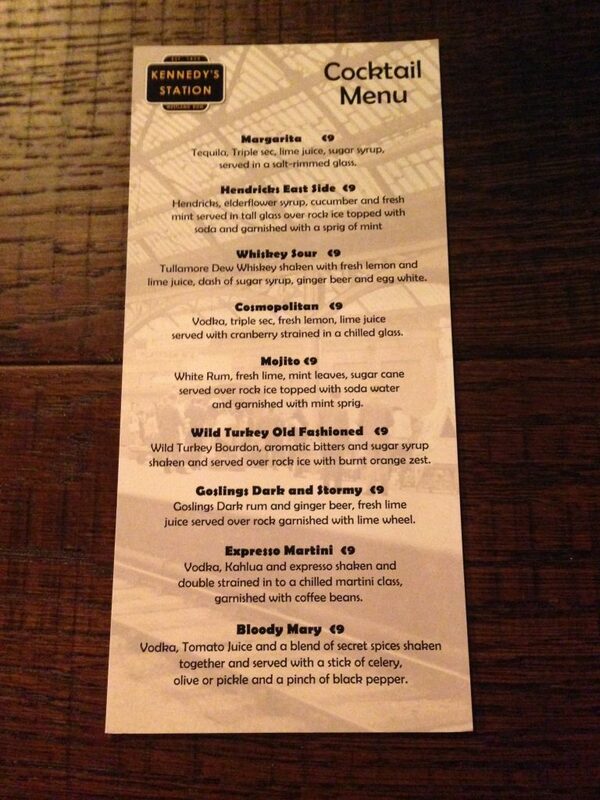 Take a booth and order a few classic cocktails. You can also order food platters for big and small groups. This could be a really good option for anyone looking to book a 30th (or any age) birthday party. 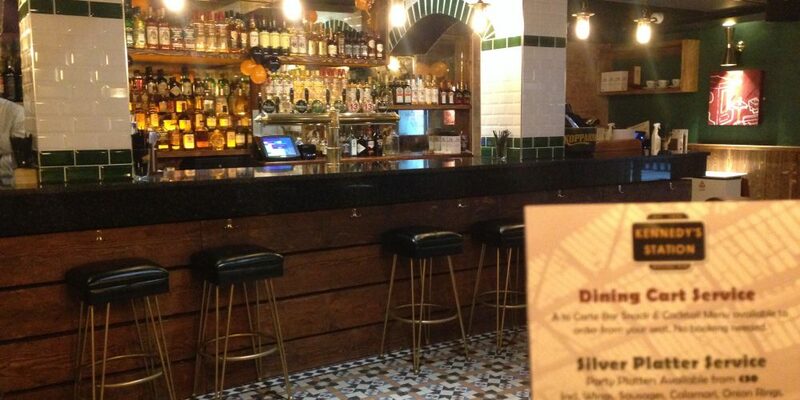 It’s a pretty swanky looking place, without any pretence, and it’s central. You could also get one of the corner areas if you’ve got a middling sized group. They’ve done a smashing job with the place. It should definitely be on your list for new places to try in 2017 or if you’re planning a party soon. Call (01) 671 017 to book.